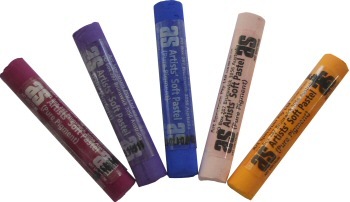 Art Spectrum Soft Pastels provide the artist with colours that are pure, brilliant and intense, and remain that way. The very best pigments are selected and triple milled at maximum concentration to bring out the finest colour and provide the rich, velvety bloom valued by pastellists. This method of production produces smouldering darks, brilliant and intense pure colours and a range of subtle and delicate tints. All Art Spectrum pure pigment pastels are free from heavy metals, asbestos or other toxic substances.